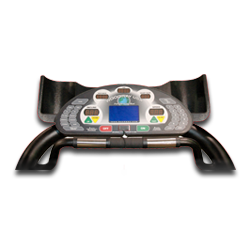 The Woodway Path H treadmill is the most basic among the Woodway line of treadmills. It is sleek, stylish, and compact, but totally durable and reliable in achieving any fitness goals. You will be surprised how its sleek presentation can withstand the most rigorous run and the heaviest body weight. This only proves that this treadmill is built to last a lifetime. $7000 may be too much for a treadmill. But if budget is not a problem, and you’re looking for that perfect machine that will fit any home gym, then go for the Woodway Path H treadmill. Its unique design will definitely catch the attention of any treadmill user, inviting them to exercise regularly. Do not be misled by the machine’s compactness. 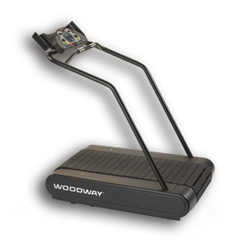 It may seem ordinary, but the Woodway Path H treadmill is designed to be strong and powerful. For running, it’s maximum user weight capacity is 500 pounds, while it can accommodate up to 800 pounds for walking. Imagine that! The drive motor, however, makes use of 2 horsepower only, quite inferior compared to most treadmills. But this should not discourage you because its speed and incline programming can still help you maximize your training workouts. For extensive and challenging workouts, you can get up to 11 miles per hour of speed and up to 15% incline. You can also adjust settings through quick keys that are easy to use. Moreover, with its advanced cushioning system, you will feel superior support and comfort in every use, reducing stress and tension on your joints even during the most demanding workouts. Combined with a deck that measures 22” x 52”, this running area provides convenience and ease of strides. If it’s the stylish design you’re after, Woodway machines are the way to go. However, if you are serious in working out and achieving your fitness goals through a treadmill that should provide you with all your needs, the Path H is not the best choice. For its price, you won’t be getting the complete package that you need – power, comfort, convenience, security, and entertainment. But what you'll be getting is one of the most durable and unique designed treadmills in the market today. Know exactly what you need. Is it a new centerpiece for your home gym or a tool that will help you achieve your ideal muscle strength? Do not waste your money on a treadmill that will not provide you with what you need. the Woodway Path H treadmill may be a good choice, but know whether it’s the best for you or not. If you plan on buying a Woodway Path H treadmill, I suggest you buy directly from the company through Woodway.com. You can get it for just $6,950.